HAVE YOU EVER SEEN THOSE FISH THAT TAG ALONGSIDE SHARKS AND WONDER WHY AN APEX PREDETOR WOULD TOLERATE A DIMINUTIVE FISH TO FOLLOW IT AROUND? Well, those fish are called pilot fish and, believe it or not, sharks welcome them! In exchange for protection, the pilot fish keeps the shark free of harmful parasites and is even known to swim into a shark's mouth to clean up small bits of excess food. Like a pilot fish to a shark, our retainers follow your sunglasses (and you) wherever you go. The relationship is mutual. PROTECT YOUR SHADES - Each design is a stylish way to keep your sunglasses safe. Whether you are fishing, hunting, boating, golfing, or just hanging at the beach, Pilotfish has you covered! You spend a lot of money on your shades; you should complement them with a sunglass holder strap that not only looks awesome but does the job too! FLOATING NEOPRENE MATERIAL - Our neoprene material is lightweight and made to float. It's soft, washable, and durable. 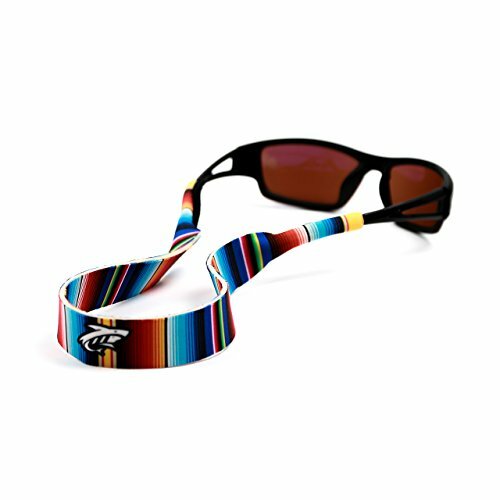 Our sunglasses straps are ready for whatever you throw at it! If you have any questions about this product by Pilotfish, contact us by completing and submitting the form below. If you are looking for a specif part number, please include it with your message.